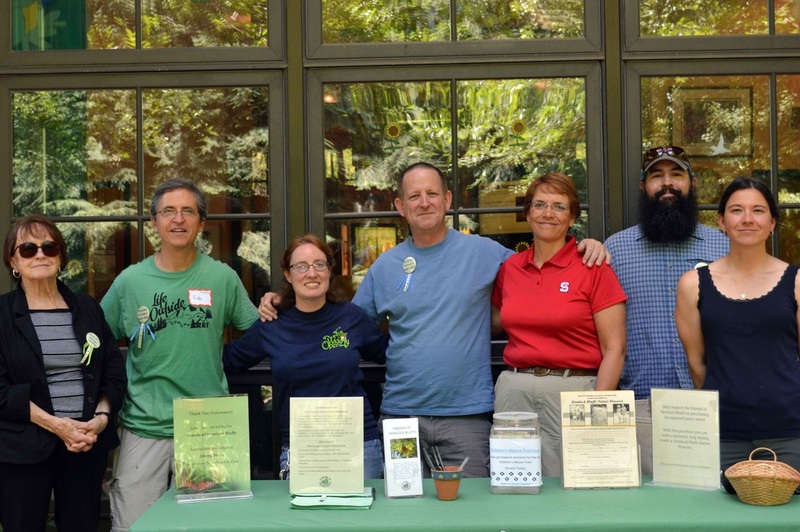 The Friends provide financial and volunteer support to Hemlock Bluffs Nature Preserve and the Stevens Nature Center. 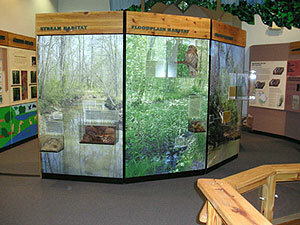 Funding for some of the "hands-on" educational exhibits in the Stevens Nature Center exhibit hall. Funding for some of the resources and equipment for environmental education programs. 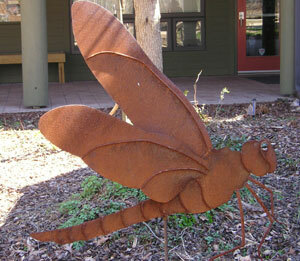 Funded garden art pieces created by Jeffrey Hurr of Iron Innovations, Inc. to beautify the nature center's courtyard. 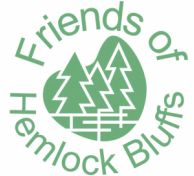 Your Friends of Hemlock Bluffs Board of Directors spent the winter working to create a Strategic Plan for the future of the Friends. Christina Hester applied for the Every Day 2012 Grant from the National Environmental Education Foundation for the purpose of developing a strategic plan for the Friends of Hemlock Bluffs, and was awarded $4,980 to pay for a consultant to facilitate the sessions and serve as consultant. After a thorough search, the Board selected the True North Consulting Company, headed by David Halley. The all-day sessions were attended by Board members and the managing Staff of Hemlock Bluffs. The meetings were held at the Middle Creek Community Center, the Cary Senior Center, and also at Hemlock Bluffs Nature Preserve. Consultant David Halley assisted the group in developing the vision for the organization. Other topics discussed included: the needs of the Preserve, the role of the Friends, increasing membership, fundraising, grant-writing, providing scholarships, amending the bylaws, and board development. At the conclusion of this session, it was agreed that the Friends of Hemlock Bluffs Board requires a more robust number in order to continue effectively. Our primary focus for the coming year will be to develop the Board by adding active and diverse Board Members. By doing so, we believe that we will re-invigorate the organization, and become more viable. The first order of business of our Strategic Plan is to encourage and invite new Board Members. We will approach them individually and for those who apply and accept, we will train them through an orientation packet. Our goal is to bring them up to speed quickly, so that they can contribute to the group very soon. Our next goal in the Strategic Plan is to organize and build up our committee structure: Membership, Fundraising, Scholarship, Finance, and others, if needed. Most of the “work” should be done by these committees, which will be led by Board Members, but will also include Friends members. Some committees may be short-lived and single-project focused; others, (such as Finance) will be standing committees. After we have staffed and trained the Board, and after our committees are established, we can continue with fundraising, providing scholarships, supporting the Staff and activities of the Stevens Nature Center and Hemlock Bluffs Nature Preserve. We could not have gotten through this importance process without the financial support from the NEEF and the Toyota Motor Sales USA Inc., who help to fund these grant opportunities! Sale and installation of engraved pavers in the Courtyard. Complete your paver order form today! Funding and selection of scholarship winners. More information on scholarships is available.